As this generation of consoles slowly draws to a close, we’ve decided to recount some of our favorite exclusive titles from each platform. Over the next three weeks, we’ll be doing just that with these top 10 lists. First up is the Xbox 360. There is one thing that we, as a pair, noticed when it comes to the exclusivity of Xbox 360 games… it doesn’t last forever. There were a lot of once-exclusive titles that we had to skip over simply because they didn’t fit the qualifications for this list. Castle Crashers, for instance, was a huge selling point for indie fans without an Xbox 360 in their possession. Same with Limbo and Braid. Then they all released for other platforms. This type of thing made it really hard to find Xbox 360 exclusives. As such, these are our 10 favorite Xbox 360 exclusives that remain exclusive. 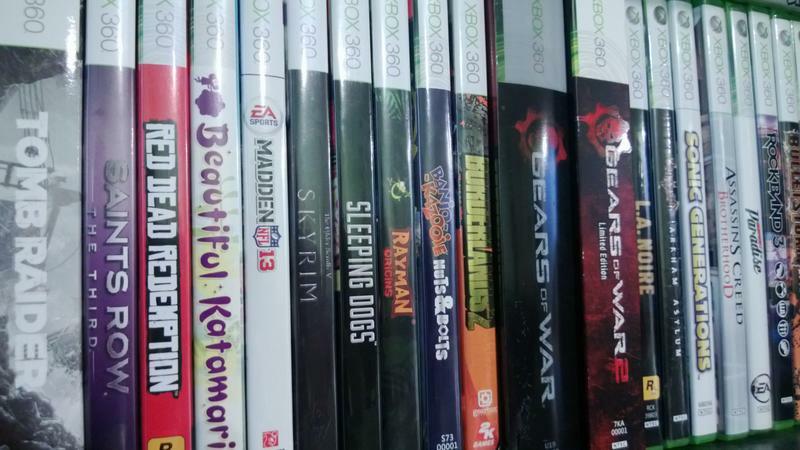 You must own an Xbox 360 in order to play these games. Put down your pitchforks! Remember, this is our list of favorites. 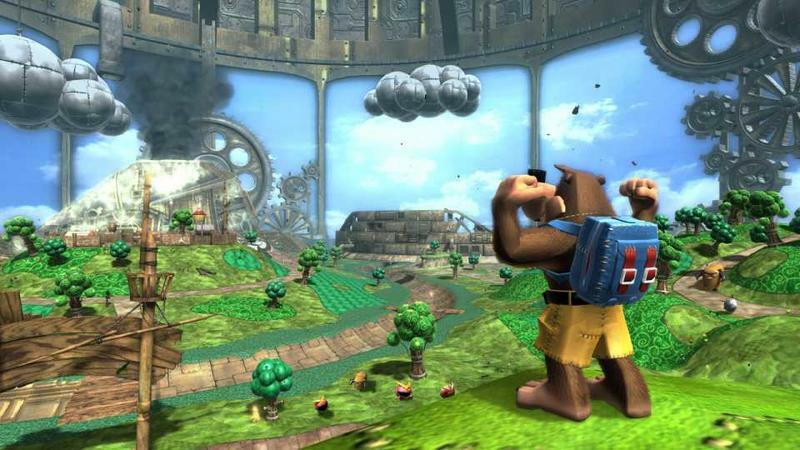 I don’t care what the masses think, I had a whole lot of fun with Banjo-Kazooie: Nuts & Bolts. Sure, it wasn’t the platforming extravaganza we all wanted after this iconic franchise’s run on the Nintendo 64. Instead, Rare decided to throw platforming out the window and make a game that featured the creation of custom vehicles and mission-based gameplay. It didn’t always work, but Nuts & Bolts was a real charmer when things came together. I remember building a massive tank that ejected a smaller plane/car/thing at the push of a button. Nerdy? Yes. But awesome. Furthermore, the game is gorgeous and boasts one of my favorite soundtracks. I might be in the minority, but I loved Nuts & Bolts. Freedom is a word thrown around by a lot of developers to hype up the idea their game allows gamers to experience the work as they see fit. But how many games can say they have TRUE freedom? Not many. Got a target locked up on a high roof? Take the elevator to the top and shoot your way through his bodyguards to get to him. Drive an armored tank into the elevator and plow your way to the roof while immune to bullets. Snipe enemies from neighboring rooftops to thin the numbers, barrage rockets from the sky, or simply leap from the next building over to avoid a massive firefight. All of these are options, and yet nothing is scripted and laid out. 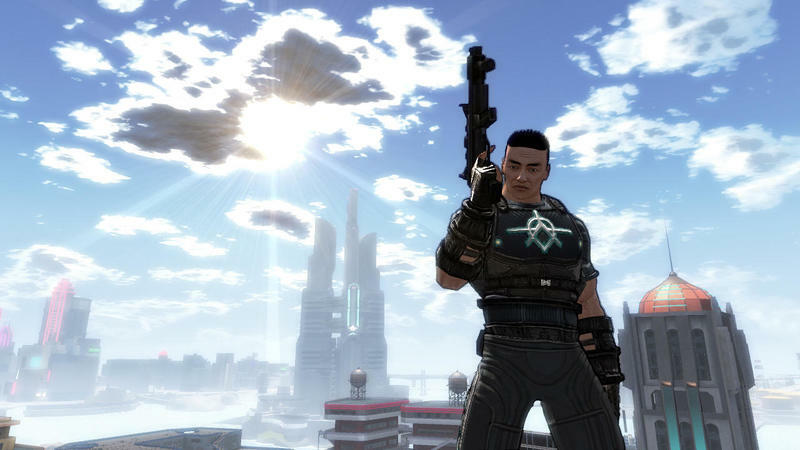 An imagination is all that is required to tackle Crackdown’s missions. The high flying jump mechanics and addictive orbs collection system extend this game to be more than just a shootout in an open city. Grand Theft Auto creator David Jones directed this game, and his stamps of rewards and freedom are all over this game. Most people bought Crackdown for the Halo 3 demo, but this is a case where the game itself turned out to be far better. 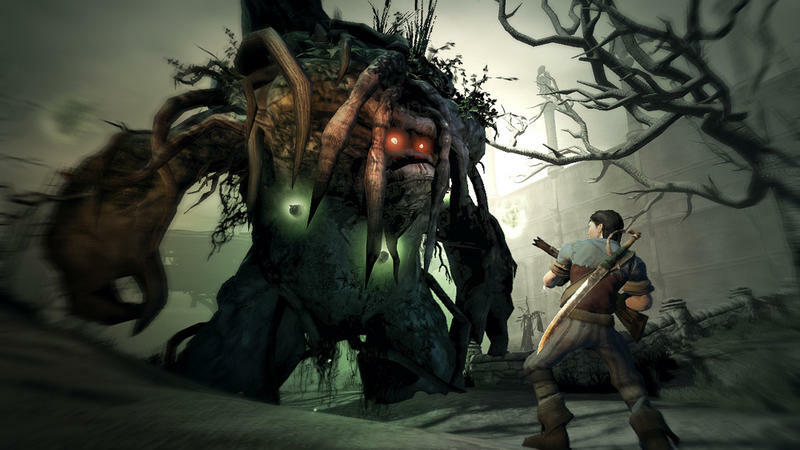 The original Fable earned a lot of mixed opinions from gamers, mostly because it was vastly oversold and didn’t deliver the goods creator Peter Molyneux had promised. His second attempt at the series though hit the nail right on the head. Fable II is a perfect sequel. It keeps much of the charm and familiarity of the original intact, but at the same time it is able to both axe away the unnecessary bits and pieces and improve on what really needed to be improved upon. Combat is great with the single button combos, each assigned to gun, magic and sword, and the players overall impression left on the world is much more obvious. People laugh, cheer, boo, and insult you as they see fit. Not to mention the game has a freakishly lifelike dog which follows throughout the entire game. There are some genuine moments of emotion wrapped up in that dog. The idea of Fable in itself is still impossible during this day and age. Such a grand vision of a video game would require power beyond what we are capable of right now, but putting that aside, Fable II comes as close as possible to match Peter Molyneux’s image. I know this because Fable III didn’t even come close. I’ll admit that I personally enjoyed the campaign from the original Gears of War more than I did the one in Gears 2. I found the entire ordeal with Dom and his wife in the second game to be incredibly cheesy. I also vastly preferred Gears 1’s ability to tell its story through atmosphere. That said, the multiplayer elements in Gears of War 2 were top-notch. The competitive stuff was a lot of fun. But, even better was the cooperative element. I’m not even talking about the cooperative campaign, I’m talking about Horde Mode. 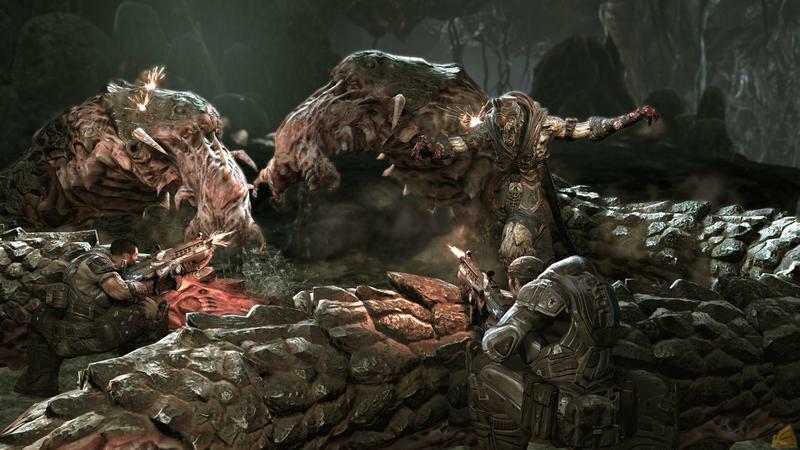 Since its appearance in Gears of War 2, Horde Mode has become an absolute staple in the multiplayer side of gaming. Most blockbuster shooters have it these days, and that’s a wonderful compliment for the designers at Epic Games. Halo: Reach was, as far as I’m concerned, Bungie’s swansong in the Halo franchise. The multiplayer side is one-of-a-kind, the campaign is fantastic and the element of having multiple Spartans made for a really interesting take on a universe that was starting to grow a little stale. 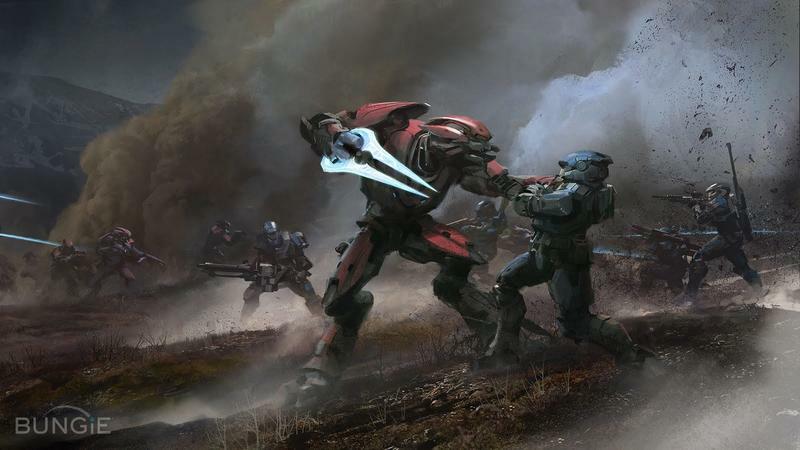 Sure, Halo 4 proved that 343 Industries was capable of taking the reins from Bungie in a huge way, but Halo: Reach felt more like a love letter to one of the greatest franchises in gaming. Plus, how awesome was Firefight? Here’s another slightly odd duck for our list of favorite exclusives. 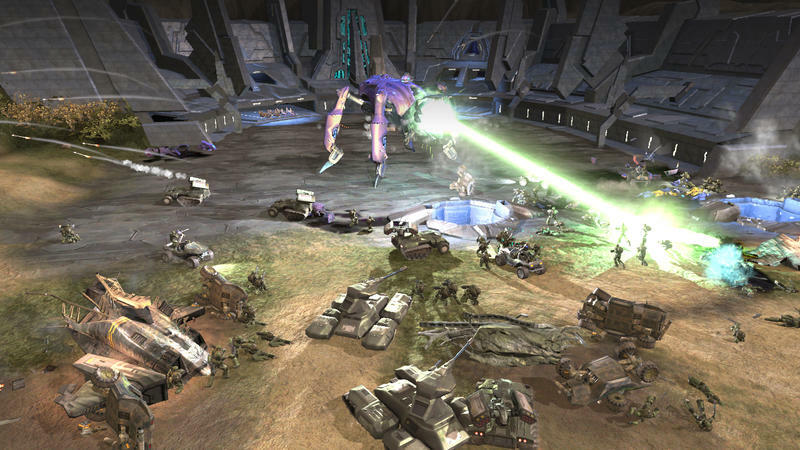 Halo Wars was developed by the now defunct Ensemble Studios. In fact, Microsoft closed Ensemble as soon as this game hit retail. The title, though, was awesome. Halo Wars was a console RTS based on the Halo universe. This wasn’t a shooter, but a military management and strategy game. While it was definitely too dumbed down to stand in line with RTS offerings like StarCraft, Halo Wars was just smart enough to be a great experience for the Xbox 360. Most diehard Halo fans immediately wrote this game off as being nothing more than a franchise cash-in. The title was so different than the franchise it was based in, but Ensemble really did make something special. The campaign was fun, and the multiplayer mode was really addictive. Halo Wars is a gem. There is no getting around it. The JRPG just did not work on HD consoles. Handhelds took that genre to new heights, but only Hironobu Sakaguchi, the guru behind Final Fantasy, was able to crank out anything worth remembering. 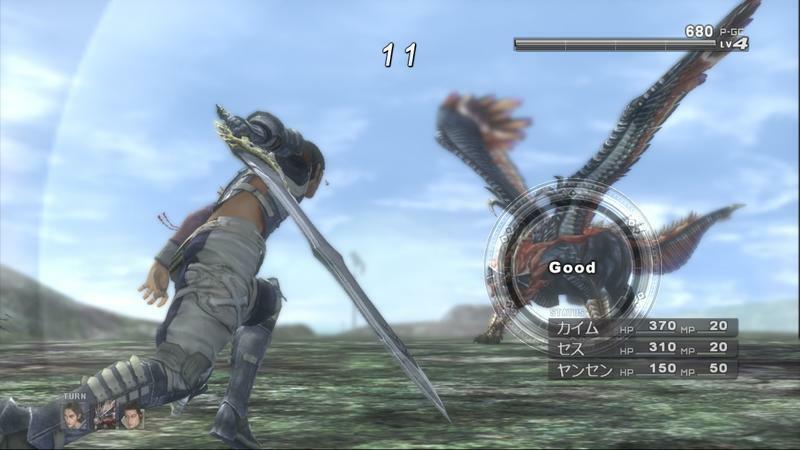 Lost Odyssey is an example of the JRPG done right. It has a huge world, expansive story, smart battle system, and lots and lots of melodrama. It’s a simple formula that is almost impossible to mess up, so it makes me wonder what Japan had done so wrong over the years. Were they trying to get experimental and fell on their faces? Final Fantasy XIII can attest to that. Were they busying trying to keep up with BioWare and Bethesda and appeal to Western gamers? That might explain a few missteps like Infinite Undiscovery or The Last Remnant. Long story short…the JRPG is best left alone with very few changes to the formula. If you can tell a good story and keep gamers excited about random battle after random battle, then you’ve done your job right. Lost Odyssey does just that. It’s not revolutionary, but its solid, familiar, and appeals to old-school fans of the genre. It doesn’t rank amongst the classics, but as a JRPG fan with nowhere else to turn, you can do a lot worse. 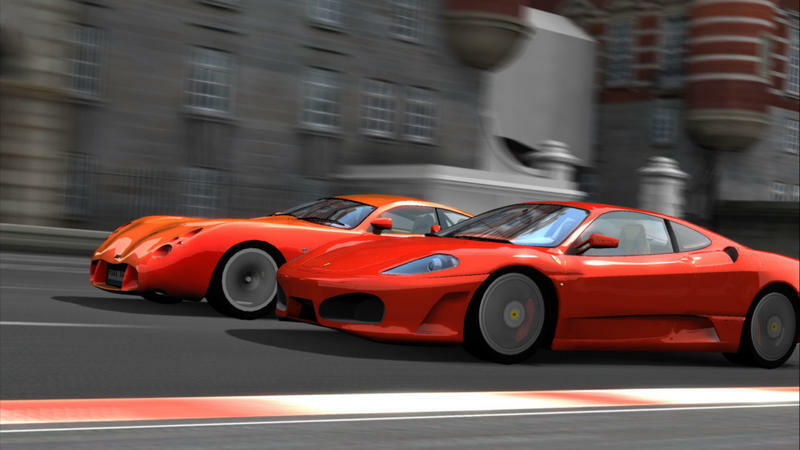 To this day, Project Gotham Racing 3 stands as one of my favorite launch titles from any console generation. I’m not even that diehard of a racing game fan, but I poured hours and hours into PGR3. The nice click-click-click sound of a perfectly executed drift that rakes in points still induces an almost Pavlovian pleasure in my brain. While other fans will insist that Forza is the better racing franchise on the Xbox 360, I’ll always swear by Bizarre Creations’ Project Gotham Racing. Plus, Project Gotham Racing 3 had a garage with a Geometry Wars cabinet in the game. That was awesome. Nothing beats drifting through the courses in Project Gotham Racing 3 with classical music blaring from the game’s soundtrack. “Metroidvania.” A magic word that makes every video gamer shriek with joy. What is it about this magical genre which excites us so much? Microsoft noticed this and built a marketing campaign around it for this game. It makes me wonder if Nintendo and Konami feel ok about being responsible for the popularity of a Microsoft game. 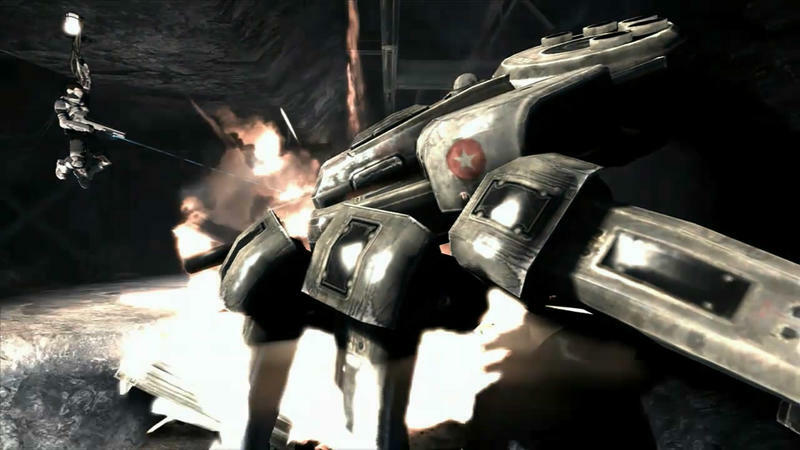 Shadow Complex pulled off the Metroidvania formula well enough. Travel through the open-world, jump on platforms, shoot guys, unlock new tools and use them to find secrets and new routes. It was designed to be played through more than once, for those who didn’t use a walkthrough to find everything the first time or for those who are speed runners. I never got around to it though. A true sleeper hit if I ever saw one. Xbox players were so wrapped up in waiting for Shadow Complex that they let this little gem slip right under their noses as it launched not long before. 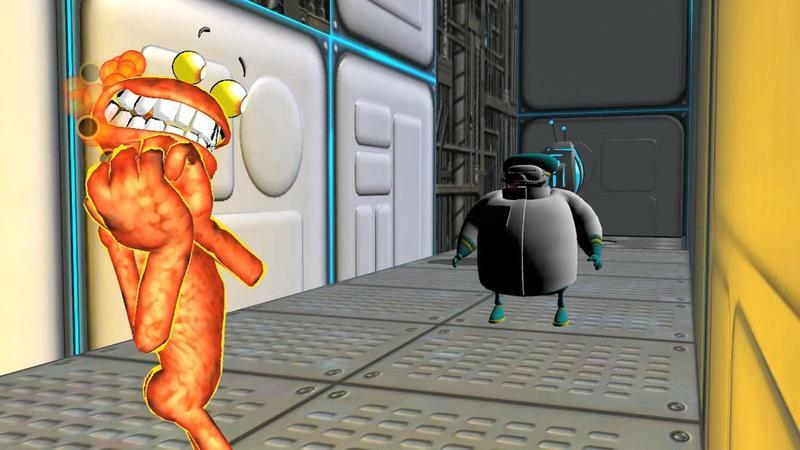 ‘Splosion Man is a 2.5D platformer which also happens to be a masterpiece of minimalist game design. ‘Splosion Man has only one move, and that is to ‘splode, or jump as any other game would call it. He can triple jump, and then must land before triple jumping again. Using this sole mechanic, Twisted Pixel was able to carve out 100 levels worth of perfect timing, precision platforming. 50 solo and 50 through ingenious co-op. Rather than the character’s arsenal becoming more complex, the world around him evolves into more difficult situations with more and more elements added to every level. It’s a rare approach to games that used to be the norm. XLBA has been home to many wonderful games that follow this simple rule… but this is the only one that remains exclusive. It’s sequel, Ms. ‘Splosion Man, has been ported to iPads and Steam, but honestly, I still enjoy the first one better. It just flows more naturally I think. Honorable Mentions: Halo 3, Beautiful Katamari, Double Fine Happy Action Theater, Perfect Dark Zero, the Forza series and Viva Piñata.